Being a Christian and everyday life in the workplace aren’t separate things. The way in which you speak and act and treat others each day is a way of worshiping God. These devotions will give you some words from the Word to ponder as you do your job each day. They will help you live with integrity—that is, a Christian all the time, not just on Sunday morning. For people who don’t go to church, you are how they meet Jesus. The way in which you treat people will say a lot about the Savior whom you represent. 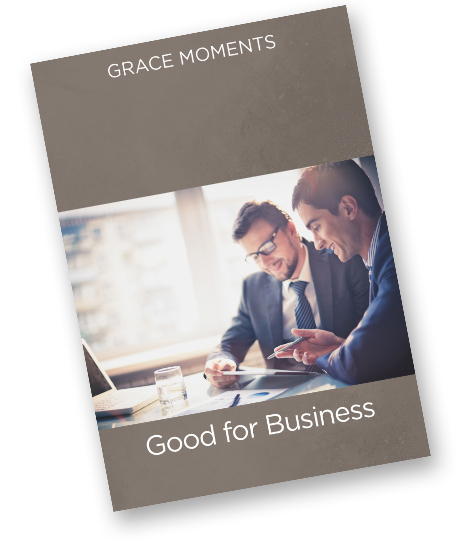 Successfully added GRACE MOMENTS: Good for Business to your cart.